In the tradition of Terminator 2, Street Fighter II, and the second season of Parks & Recreation, the 2015-16 Formula E Championship hopes to add its place to the list of great “second installments” in modern history as it begins this Sunday (or Saturday, depending on your place of origin) in Beijing, China. New technology, faster cars, longer races, and new venues will highlight the list of revamps for Formula E in Season Two: (Cliched Subtitle) – and so will the addition of five new talents to the grid. To fill the void left by the shocking, early retirement of Jaime Alguersuari, the less shocking, somewhat overdue retirement of Jarno Trulli, and the departures of drivers like Karun Chandhok who will focus their energy elsewhere going forward, Formula E re-stocks their already deep roster of drivers with a great rookie class. 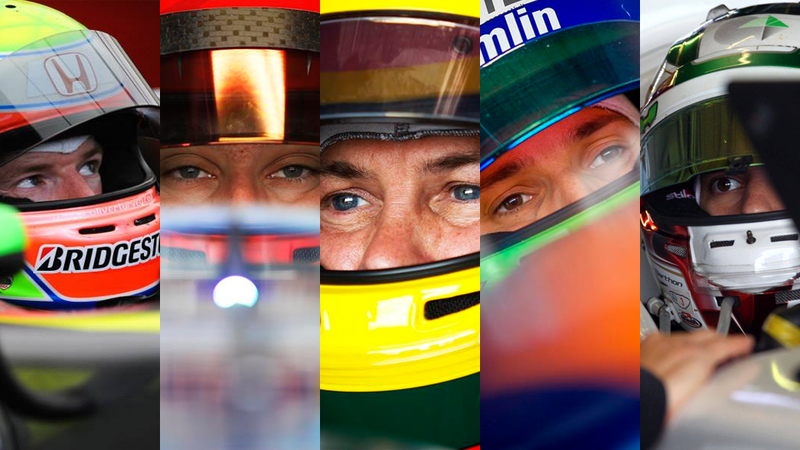 The first rookie class, with only two drivers having raced previously at the season-ending London ePrix, and the remaining three competing in the series for the very first time this Sunday. Each has a story of their own that will endear them to Formula E fans the world over, each has been tested in the world’s great racing venues and events – from the Formula 1 World Championship, to the Indianapolis 500, to the 24 Hours of Le Mans. In evaluating all of the newcomers, everyone adds something positive to the landscape of Formula E. Some are veterans with decades of racing experience, while some have yet to race on this big of a global stage before. But they are all hungry to make an immediate impact – beginning with the first former Formula 1 World Champion to race in Formula E.
From 1994 to 1997, there may not have been a more accomplished racing driver on the planet than young Jacques Villeneuve. Already destined for stardom as the son of one of F1’s most celebrated and revered folk heroes, Villeneuve amassed more accolades and won more races in a four-year span than many drivers do over the course of an entire career. Villeneuve and a fella by the name of Mario Andretti are the only drivers to have ever won the Indianapolis 500, CART IndyCar Series championship, and Formula 1 World Championship in the course of their careers – and Villeneuve racked up all of those accolades in just three years’ time. It is impossible to understate how big a star JV was at the time, and those accolades make the addition of Jacques Villeneuve to the Formula E grid a big deal. A series already boasting a World Endurance Drivers’ Champion (Sebastien Buemi), a Le Mans 24h winner (Loïc Duval), a Daytona 24h winner (Salvador Duran), and three more second-generation stars including defending champion Nelson Piquet. But it has been twenty years since Villeneuve’s greatest period of success. Children born between 1994 and 1997 are now adults with jobs, homes, and children. Windows 95 and the first Sony PlayStation are no longer the zenith of consumer technology. Villeneuve, a/k/a John Newhouse, a/k/a Driverone Williams depending on your contemporary F1 video game of choice, is now a racing journeyman at age 44, turning 45 next April. He enjoyed just one more prolific F1 season in a string of nine winless campaigns to close out his career with a whimper. Since then, he’s bounced around between Le Mans, NASCAR, V8 Supercars, Brazilian Stock Cars, and World Rallycross as a part-time entry. He’s even put out a music album that was the audible equivalent of his debut season at British American Racing, which is not a compliment. A return to the Indy 500 last year saw Villeneuve race competently with a 14th place finish, but fail to recapture all of his former glory. He won the 1000km of Spa (now the 6 Hours of Spa) in 2008 for Peugeot. That accounts for his only race victory in a major series since 1997. These days, Villeneuve is known almost solely for his weapons-grade “hot takes” on Formula 1 as a commentator, tearing into the sport and its personalities with none of the sincerity and conviction of fellow former-F1-driver-turned-F1-critic Mark Webber, than any performance as a racing driver in the last ten years. That’s not a good look. 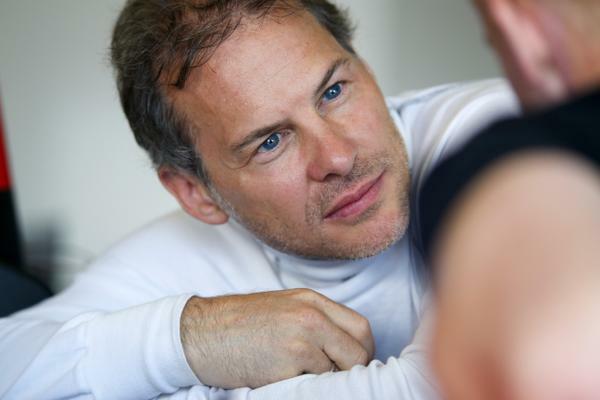 Villeneuve still has supporters from around the world, and many will hope that he can turn back the clock twenty years and perform well in his first season of Formula E competition. But it’s hard for me to believe that “Driverone Venturi” will be able to even consistently go quicker than his long-time friend and teammate Stephane Sarrazin (he of a total of one F1 entry), let alone compete for wins and a championship. I’m expecting a season similar to Jarno Trulli last year – at least one moment of brilliance in a sea of struggles – and hoping, but not really expecting early on, to be proven wrong. While Lucas Di Grassi, Sebastien Buemi, Sam Bird, and Nelson Piquet stand tall among the pre-season favorites for the 2015-16 Formula E Championship, one name that should be included in the discussion is Piquet’s NEXTEV TCR teammate Oliver Turvey. Excuse me, that’s SUPER GT SUPERSTAR OLIVER TURVEY. Hailing from the Cumbrian town of Penrith, Turvey made a strong debut in last season’s London ePrix, finishing ninth in both races of the double-header weekend (the only rookie in a field of five to finish in the points that weekend) with little to no prior experience in the car. He even outqualified his future champion teammate in the second and final race. SUPER GT SUPERSTAR OLIVER TURVEY has enjoyed a solid first season in the top division of the Super GT series from which his full title is derived. He’s scored points in five of six races this season, driving for a first-year team fielding a rather unwieldy Honda NSX-GT. Last June, in the 24 Hours of Le Mans, he joined Jota Sport as a last-minute replacement to veteran Marc Gené and drove the winning stint for the team as they captured a remarkable, come-from-behind class victory in LMP2 so good, they made a movie about it – and this year, he re-joined the team as they delivered another gutsy performance to finish second in class. 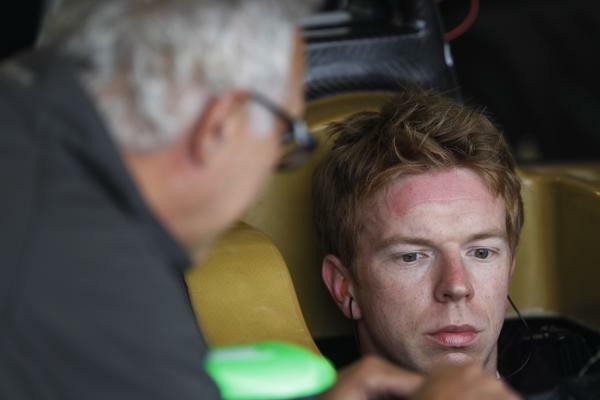 SUPER GT SUPERSTAR OLIVER TURVEY is emerging from the shadow of his limiting role as a seldom-used McLaren F1 pitwall ornament test driver, a role he’s held since 2012. Turvey may not have won a series championship in his time in junior formula racing, but not due to a lack of talent. Not when he was in Formula 3 and beating drivers like Sergio Perez, who just stood on the podium at the Russian Grand Prix two weeks ago, and Nick Tandy, who was the consensus top driver of this year’s winning Le Mans 24h entry. Not when he won his very first race in the streets of Monaco in Formula Renault 3.5. Not when he was part of a strong rookie trio in GP2 in 2010 with Sam Bird and the late Jules Bianchi. He immediately performed at a higher level than the revolving door of Ho-Pin Tung, Charles Pic, and Antonio Garcia from last year, and no matter how much Nelson Piquet has turned babyface in his Formula E tenure, he can’t out-babyface SUPER GT SUPERSTAR OLIVER TURVEY, who seems like a genuinely kind and charismatic young man and one that will maintain a strong base of fan support all season. NEXTEV TCR played their cards very close to their chest in testing, neglecting to run at max power by design while they focused on race pace. They might show up to their home race in Beijing with a fragile fart-can, or they could turn up with a seriously competitive package – it’s tough to predict. But I’ll go on the record to say that if the new car is a contender, that not only will SUPER GT SUPERSTAR OLIVER TURVEY be far and away the highest-scoring rookie this year, he will be a serious championship contender that will push his teammate Nelsinho and threaten his bid for a championship repeat at every round. 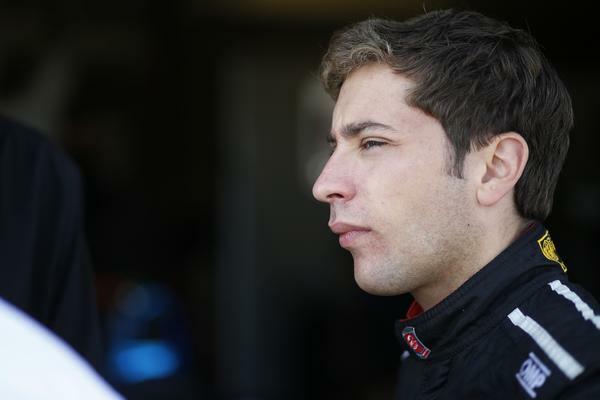 Robin Frijns (pronounced FRIH-ns) makes up one-half of Amlin Andretti’s all-rookie driver pairing, replacing DS Virgin-bound Jean-Eric Vergne. To paraphrase a commonly used and re-used joke on the internet: “How can you tell if someone’s a Robin Frijns fan? Don’t worry. They’ll tell you.” Frijns has been one of the more hyped young drivers to come around in this generation, hype that is not entirely unwarranted – because you don’t win the Formula BMW Europe, Eurocup Formula Renault, and Formula Renault 3.5 Series titles in consecutive years and beat a large handful of future F1 stars along the way, you don’t switch to sports car racing as he did this year and come within less than a second of winning the Blancpain GT Series Drivers’ Championship in your very first season, without being really, really damn good at driving a race car. But thanks to a nasty cocktail of a lack of funding, mismanagement, youthful pride, and just generally bad luck, the closest that Frijns has gotten to reaching Formula 1 has been two dead-end testing gigs at Sauber (2013) and Caterham (2014). He spent all of last year out of competitive racing as Caterham sunk from bankruptcy to extinction, and had to cut Frijns loose before the end of the year. The gamble to reject two separate offers from the Red Bull Junior Team, whether out of fear of being pushed around by Helmut Marko, the reported seven-figure entry fee, or both, didn’t work out. He’s often cited as “Exhibit A” among drivers who have been pushed out of F1 due to a lack of financial considerations. But he came back strong in 2015, debuting in Blancpain GT for Audi’s mighty WRT squad and winning five races, and then setting blistering lap times in his first Formula E test in Donington. He’s back in single-seaters with unfinished business, ready to make the most of a new opportunity as he did in GT racing earlier this year. His success will likely be limited by the fact that he’s playing with house money – Andretti is one of two teams using the Season One SRT-01e powertrain this season since their ATEC-01 wasn’t quite ready for prime time. The other thing Frijns must adapt to is energy saving – he’s an aggressive, pacey driver who’s always been able to push at ten-tenths every lap in everything he’s raced in, something he absolutely cannot do in Formula E and hope to succeed. A lack of prowess in this may have cost Vergne a handful of wins last season. If Frijns can master energy saving, he can will the Amlin Andretti team to some strong results in 2015-16. A while back, I kind of grew tired of the Frijns hype – he came across as entitled, and his supporters only made it worse. Now he’s coming of age, progressively maturing, and cast as a punchy young underdog this season. And that’s the sort of driver I can easily get behind. At the other end of the Andretti paddock is IndyCar veteran Simona de Silvestro, who debuted in London last season as the last of a revolving door of drivers that began with Charles Pic, and later went to Matthew Brabham, Scott Speed, and the sadly-departed Justin Wilson. She finished just outside the points in both races, but showed many instances of solid racecraft, surprising aggression, and even outqualified and out-raced teammate Vergne in the second race at Battersea Park. This year, the Iron Maiden, the Swiss Miss, is back for a full slate at Andretti, and ready to show the world her true potential. Like Frijns, she suffered a stroke of bad luck off the track. A development driver role at Sauber, which should have led to her being the first female F1 race driver in over twenty years, went up in smoke thanks to a management [noun]-up. It’s only the most recent in a series of setbacks in De Silvestro’s career, but she’s shown incredible resiliency to bounce back from it all, from a bad crash and fire in her rookie year in IndyCars, to a year from hell driving a Lotus IndyCar which may have been powered by the engine from a beat-up early-90s Lotus Elan. She struggled in a handful of IndyCar outings for Andretti Autosport this year, with a best finish of fourth in what could barely be called a race at NOLA Motorsports Park, and two weeks ago, she and co-driver Renee Gracie just made it to the checquered flag at the Bathurst 1000 in their debut efforts. She matched evenly with American open-wheel legend Tony Kanaan in their only season as teammates in 2013, and she has a multitude of supporters throughout the racing world eager to see her finally reach her potential with the results they feel she’s deserved for a long time. Simona de Silvestro lacks the all-out flash of former IndyCar rival Danica Patrick or F1 testing peer Susie Wolff. She’s just a hard-nosed, hard-charging, solid racing driver who’s by far the fastest woman in all of motorsport. Nobody (at least nobody that I’d want to associate with) is hoping for a worst-case scenario where De Silvestro struggles to stay competitive as Katherine Legge and Michela Cerutti struggled last season, and give the knuckle-dragging critics of women in motorsport more incendiary ammunition to their idiotic cause. And I don’t think that she will. Yes, it’s more likely that Frijns will be the faster of the two in most sessions and score the majority of Amlin Andretti’s points, but her measured aggression and years of big-time racing experience must absolutely be considered. 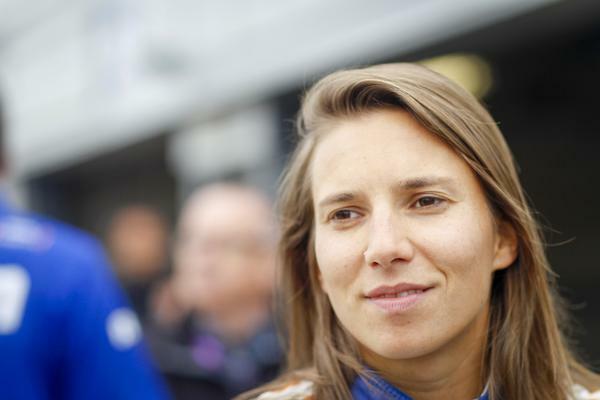 History has shown that it’s a bad idea to write off Simona de Silvestro, and she has a chance to stun the world in several rounds of the 2015-16 season, a chance that I believe she will fully capitalize upon at every opportunity. The twentieth and final addition to this year’s grid, Team Aguri’s Nathanaël Berthon goes into this season as the least heralded of all the newcomers. Even after securing the drive by beating out former GP2 rivals Tom Dillmann and Stefano Coletti, and former Toyota LMP1 driver Nicolas Lapierre, even after turning the outright fastest lap in testing out of the five rookies that will race in Beijing this Sunday, some had still questioned whether or not Mark Preston‘s team had found the right man to partner Antonio Felix da Costa this season. It’s not a big mystery as to why: Berthon has enjoyed very limited success as a single-seater racer to date. 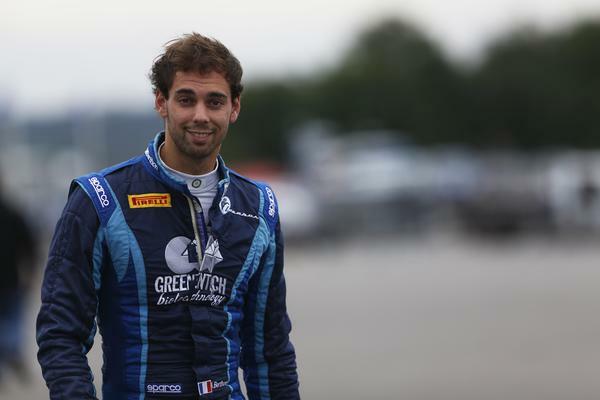 He’s now in his dreaded fourth year of GP2, having won just one race out of eighty-four starts. He’s 16th in the championship as of publication, driving for an under-resourced Team Lazarus which has already decided to withdraw from GP2 after this season. He has not won a series championship, he has yet to win more than one race in any category that he’s raced in. In comparison to the stellar junior formula careers of Turvey and especially Frijns, Berthon (working nickname: “Natty Ice”) falls way short of relative competency, and seemingly isn’t an improvement over previous Aguri driver Salvador Duran. But on the flipside of the coin, Berthon is rated as one of the best young talents in prototype endurance racing – a genuinely quick driver for relative LMP2 upstarts Murphy Prototypes. At Le Mans this year, he was consistently one of the fastest drivers in a category filled with solid teams and talents, and if he returns to the team next year, it’s a matter of when, not if, he leads them to a victory in the ELMS. He’s confident in his multi-versatile abilities, he’s overwhelmingly excited about tackling the unique challenges of Formula E, by every account he’s a very kind and personable young man racing for a team that already garners quite a following in Formula E, one that embodies Team Aguri’s “ultimate underdog” role – all positive things for Berthon to work with as he’s paired with a race-winning teammate in Da Costa. I have a feeling that many detractors may be positively surprised by Nathanaël Berthon’s performances in 2015-16 – I’m not going to put a tenner on him to win the championship, but I will say that he’ll exceed many critics’ basement-level expectations. The Bottom Line: All five rookies see out the season, but SUPER GT SUPERSTAR OLIVER TURVEY stands head and shoulders above the field as a championship contender. Frijns and Simona stand on the podium at least once this season, but the SRT-01e powertrain severely limits their chances for a title bid. Villeneuve shows flashes of brilliance but struggles in 2015-16 to the point that Berthon finishes ahead of him in the championship. I eagerly await to see this season unfold and for everything I just wrote to be proven rubbish by Long Beach.